The Jewish Federation of Greater New Orleans released a community statement in the aftermath of the 2016 election, following a joint meeting of the Federation's Jewish Community Relations Council and Anti-Defamation League. At the meeting, there was a “lively discussion” of trends and concerns in the community. In addition, the Nov. 28 statement listed resources for the community for a wide range of issues. Any hate-related incident should be reported to the Anti-Defamation League. Earlier in the month, the ADL tweeted a photo of anti-Semitic graffiti on a wall on Tchoupitoulas Street. The ADL’s reporting link is here. The statement also notes that those in need of emotional support should reach out to the synagogues, rabbis and Jewish Family Service. “We strongly believe in the values and resilience of our great nation to take us towards a rosy future. This is a time for us all to come together and build a strong future collaboratively,” Weil wrote. 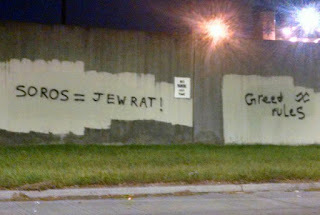 The Jewish community in New Orleans represents a broad spectrum of thought and political opinion. Our traditions and history mandate that we promote dignity, liberty, inclusiveness and pluralism while safeguarding the equal rights of all people regardless of gender, race, ethnicity, religion, nationality, disability, sexual orientation, or gender identity. Recent political events have given rise to some voices and trends that are divisive and run counter to the values and principles of this great nation. New Orleans is a place that fosters multiculturalism and diversity. We offer our neighbors, especially those who are at greatest risk, our pledge to embrace, guard, support and protect them. Our Jewish tradition speaks to our individual capacity for kindness, strength, and justice, and to our nation’s responsibility to be a welcoming place for all. Making our community and city a more welcoming place will require empathy and working together. Too often, we exist in our own “bubble,” whether it’s in our social networks, the media we consume, or the books we read. We must listen and get to know people whom we don't know or understand – those outside our bubble – and we must reach out to them, so we can mend the rifts that were so painfully revealed during the election campaign and move our country forward in unity. Please know that even in the darkest hours, you are not alone—while we must be vigilant, we must not be afraid! Together we pledge that our organizations and congregations will continue to be places of safety, protecting the vulnerable, reaching out to those who are under threat and offering them our allegiance and support. If you see or hear something unsettling or hurtful to our community, report it to the Anti-Defamation League. Together we are stronger, and by working together we will enable the Jewish community to fulfill its mandate to pursue justice. The statement was signed by the Jewish Federation of Greater New Orleans on behalf of the Jewish community, including: Anti-Defamation League, AVODAH: The Jewish Service Corps, Congregation Anshe Sfard, Congregation Beth Israel, Congregation Gates of Prayer, Hadassah, Jewish Children's Regional Service, Jewish Community Center, Jewish Community Day School, Jewish Community Relations Council, Jewish Endowment Foundation of Louisiana, Jewish Family Service, Moishe House, National Council of Jewish Women: GNO Section, Northshore Jewish Congregation, Shir Chadash Conservative Congregation, Temple Sinai, Touro Synagogue, Tulane Hillel, Woldenberg Village.